Cantiere delle Marche superyachts YOLO and PERCHERON to be displayed at Cannes Yachting Festival – Superyachts News, Luxury Yachts, Charter & Yachts for Sale. The all-new 2014 superyacht YOLO (“You Only Live Once”) is a robust and elegant Nauta Air 86′ explorer, superbly penned by Mario Pedol and Massimo Gino of Nauta Yacht Design. 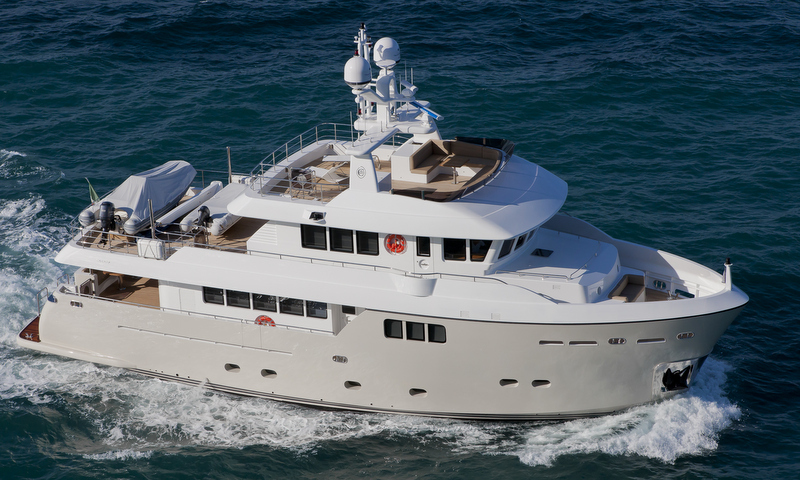 YOLO mixes up durable substance, seaworthy performance and low fuel consumption with airy, contemporary design, wide exterior space and surprising volumes. The lovely 2012 Percheron yacht represents the second Darwin 86 luxury explorer, with exterior design by Sergio Cutolo and interior design by Floris and Veglia. RINA and MCA classed, Percheron can easily sleep her guests in 4 elegant and comfortable staterooms, all en-suite.